Each summer 11 of the nation's top high school quarterbacks are selected to participate in a unique camp in California known as The Elite 11. 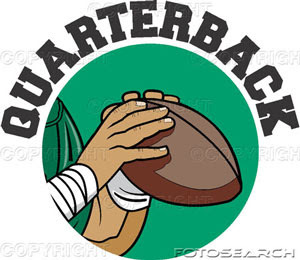 It is both a camp and competition, and the instruction is from top QB's and QB coaches from throughout the nation. The invited QB's are put through passing drills, footwork drills, film sessions, and taught how to read defense pass coverages. A passing competition comes at the end of the 3 day camp. 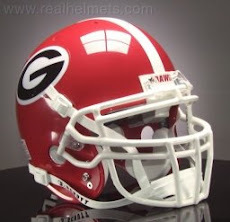 The first quarterback to receive an invitation to this years event is Georgia commit Aaron Murray of Tampa, Florida. He was selected after a very impressive showing at the Gainesville, Florida Nike Camp. His future teammate in Athens, Matthew Stafford, was an invitee to the 2005 Elite 11. With redshirt freshman Logan Gray already in the fold at UGA, the verbals of Murray, as well as highly touted Zach Mettenberger from Watkinsville, Georgia, seem to insure the Bulldogs of tremendous QB progression for several years. Both Mettenberger and Murray are rated in the nation's top 100 of the Scout.com National 300. The contrasting styles of the two would seem to compliment each other well during their days "Between the Hedges". ZM being the more prototypical pocket QB, and AM more adept at accumulating a few rushing yards and making things happen. Both are rated in the Top 10 nationally at their position. Murray is also one of seven QB's nationally ranked as 5-Star recruits. He was an especially 'sweet' commitment because the Dawgs went in and snatched him directly out of 'the jaws of the Gators'! 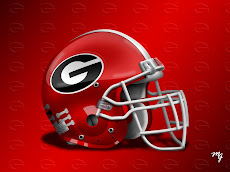 Georgia now has 10 verbal commitments for 2009 in a class that will have to total less than 20. The quantity might not be there, but the quality is already evident. Each year more high school players are committing early. If they are recruited by high profile programs, they are realizing if they play a 'waiting game', that slot may not be available as long as it would have been in earlier years. High school programs are turning out tremendous athletes, and colleges are being more selective in the type of players they choose to go after. And, thank goodness, grades and character seem to be playing a significant role now. 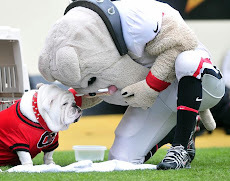 So if you're looking at one of those 8 or so remaining slots in Athens, remenber: That Bulldog train is rolling, and if you want to be a 'Dawg', you better get on board!